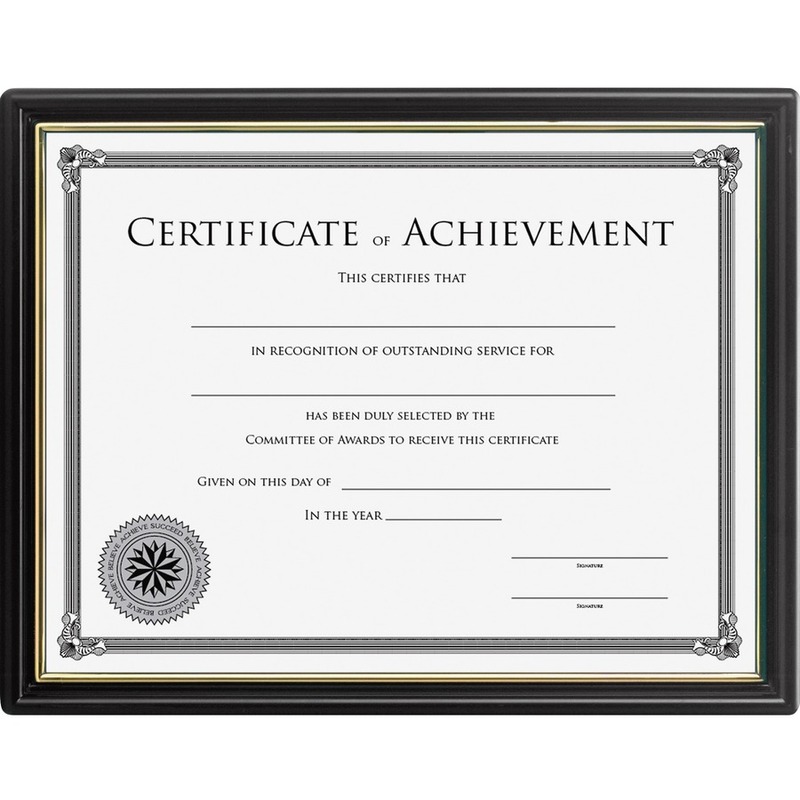 Showcase your award or favorite photo with this durable, multipurpose frame that includes a ready-to-use certificate of achievement. Display vertically or horizontally. Frame features a gold-colored accent line around the inner border and a plastic face to protect your photo or certificate. Document frame is made of plastic and offers easy in-and-out assembly.